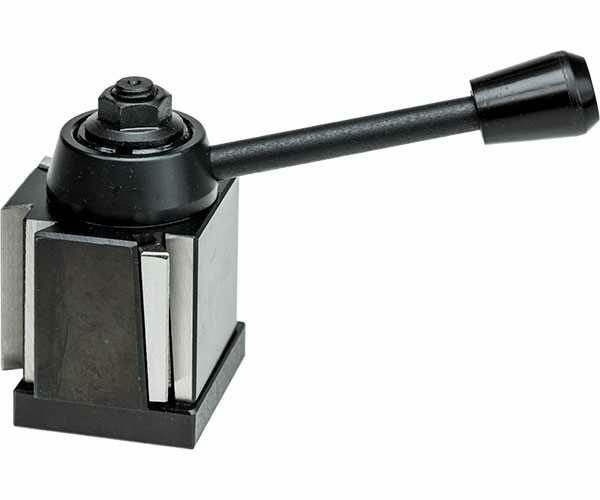 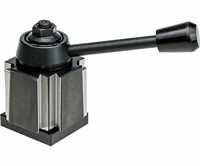 Model 000 Wedge Type Quick Change Tool Post only - supplied without tool holders so you only buy just the holders you need. The principle of the Model 000 Quick Change Tool Post is that it uses sliding wedges in the dovetails of the tool post to clamp tightly on the tool holder dovetail. 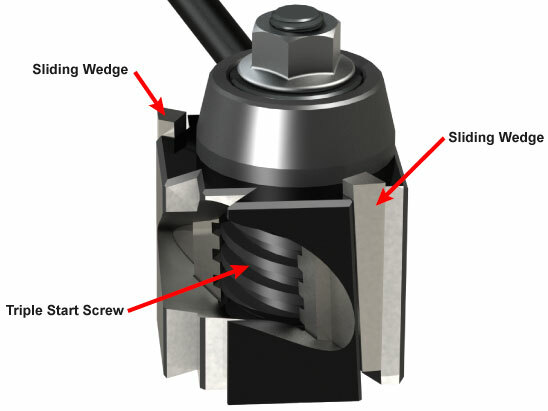 This cut-away view shows how the sliding wedges have teeth which engage in the thread of a triple start screw operated by the locking handle.